The votes are in and we have a winner for tonight’s Semi-Final 5 of Selectia Nationala 2018: Sergiu Bolota with his song “Every Little Thing”. Teodora Dinu and The HUMANS placed second and third, but will Romania‘s jury agree with you guys? Next Sunday, the public will decide the winner of Romania’s ticket to Lisbon, but we still have a little matter called the final and fifth semi-final of Selectia Nationala 2018. The quaint, medieval Transylvanian town of Sighisoara will host the semi, on a stage smaller than your grandma’s basement — but broadcaster TVR promises yet another show to remember, complete with 100 square metres of LED screens and 380 square metres of LED curtains. The venue, Mihai Eminescu theatre, also hosted a concert by composer George Enescu 90 years ago. After going 90 meters underground last week, we’re going back in time tonight! Until then, the wiwibloggs readers have had their say in our Semi-Final 5 poll, and Sergiu Bolota is the overall winner with more than a quarter of the votes, followed by Teodora Dinu and The HUMANS. Let’s break it down! Sergiu Bolota has been known to Eurofans since last year, when he entered “We Were Young”, the brilliant track written by Estonia’s Stig Rästa, but crashed before the live shows at the auditions. This time, he made the semi-finals with “Every Little Thing”, a song he wrote himself, and he became your favourite from the last semi-final. With 26.84% of the votes, Sergiu should sail through to next Sunday’s semi-final — but only the national jury will decide whether he goes through. Teodora Dinu, one of Ovidiu Anton‘s backing singers, is back in Selectia Nationala with “Fly”, a power ballad written by a Scandinavian and Belgian team. With 20.86% of the vote, she is your second favourite in this last semi-final. With flawless vocals and her own backing vocalists this time, Teodora is expected to “fly” to the National Final next week. Beating Dora Gaitanovici, another fan favourite, by just one vote, The HUMANS are our readers’ third qualifiers, with 9.36% of the vote. Their rock ballad “Goodbye” and Cristina Caramarcu’s voice are likely to convince the jury as well, so we expect to see the band again next Sunday. The fifth semi-final of Selectia Nationala 2018 will start at 20:00 CET tonight and will be broadcast live on TVR 1, TVR International, TVR Moldova and online on TVR Plus. It will also be broadcast on the official YouTube channel of broadcaster TVR. Since the show is being hosted by a medieval city, the semi-final will be opened by Terra Medies Order of Paladins, knights and princesses of the fort who will recreate the historic atmosphere of Sighisoara. Tonight’s show will include a performance by pop-rock band Directia 5, whose front man is long-haired, paper-crumpling jury member Marian Ionescu. At the end of the show, the jury made up of Ilinca Bacila, Viorel Gravrila, Marian Ionescu, Liliana Stefan and Nicu Patoi will choose third acts to advance to the National Final on 25 February. This year, TVR is staging five semi-finals in five different cities under the slogan Eurovision Unites Romania, and three acts from each heat are sent to the grand final by the jury. At the grand final in the capital Bucharest, the winner of Selectia Nationala 2018 will be crowned solely by the public, via televote. After the live show I think it’s pretty clear, 4 are in discussion to qualify: Teodora Dinu (who after the jury’s comments is an obvious qualifier) and Dora Gaitanovici are pretty much going through, while maybe the HUMANS and Iliana are fighting for a 3rd spot. In my opinion Teodora Dinu’s performance was very overrated, she didn’t sing it correctly at all. I just hope to see Iliana in the final. Also, good performance from Denisa Trofin, but I don’t think she’g qualifying. The only that I could think it’s a certain qualifier is Iliana. Sergiu Bolota’s song has the quality to reach the final, however I doubt that he will be able to put on a decent vocal performance so I wouldn’t be surprised at all to not see him into the final. 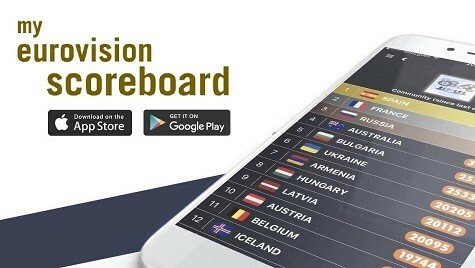 What about Portugal’s Nation Selection? Tonight is the Semifinal 1 of Festival da Canção 2018 and you didn’t made any poll of that. It’s sad! I understand. I was thinking that the polls are made also based on the snippets of the songs to the Semifinals. In any case it’s possible to have preliminary opinions and preferences about those musics. So I hope RTP release the songs before the next Semifinal. I wouldn’t call that song “brilliant”. My favs in this SF are Evermorph, even though the lyrics are kind of nonsense, and SAVE. “All We Need” is a very strong song, just needs to be polished. So MIHAI is out? What happened to him? He’s in the final, qualified from another semifinal.